Form Fans, you have amazed us. 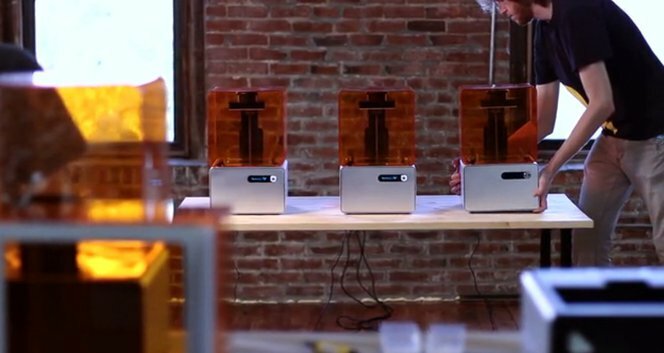 On September 26th we asked if you wanted a high resolution, desktop 3D printer. The answer to that question seems pretty obvious after 30 exciting days on Kickstarter ;) Of course, with such amazing success comes an enormous responsibility to deliver. We are up to the challenge. Our growing team is hard at work finalizing our supply chain, improving our software and hardware (beta machines arrive soon! ), and preparing to deliver the Form 1 stereolithography 3D printer in 2013. You will continue to play an integral role in this process, so please stay tuned! Shipping: in the coming months we will collect shipping information. We will let you know when you can provide that info. Updates: we will continue to provide periodic updates including occasional part prints and less frequent but more extensive details on production progress. Please bear with us as we focus on building 1,028 Form 1 3D printers! Form Fan Feedback: We will be reaching out to get your perspective on the Form 1 over the coming weeks and months. Given the activity on our comments page, we are sure you have a lot to say! Form Fan Forum: We love your enthusiasm on Kickstarter. We’re creating a forum soon to keep the conversation going! Thank you: No, seriously. Thank you. You rock. You’ve made our decade.